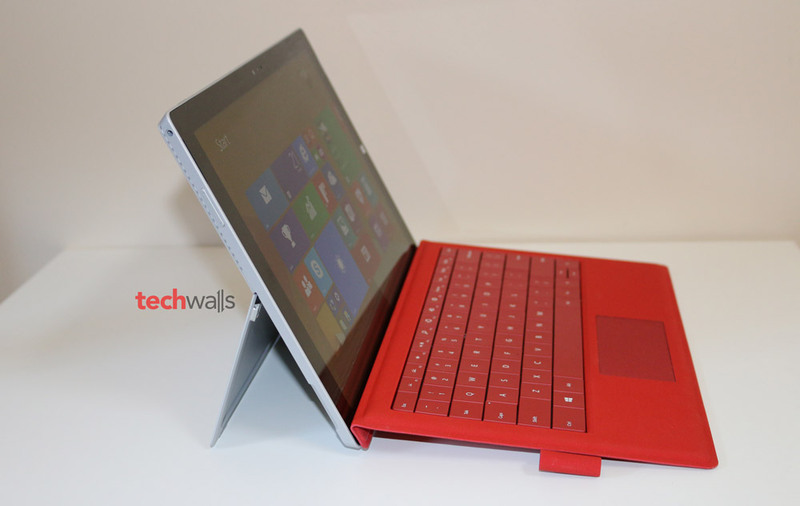 Microsoft Surface Pro 3 Review - Can the Best Hybrid Replace your Laptop and Tablet? 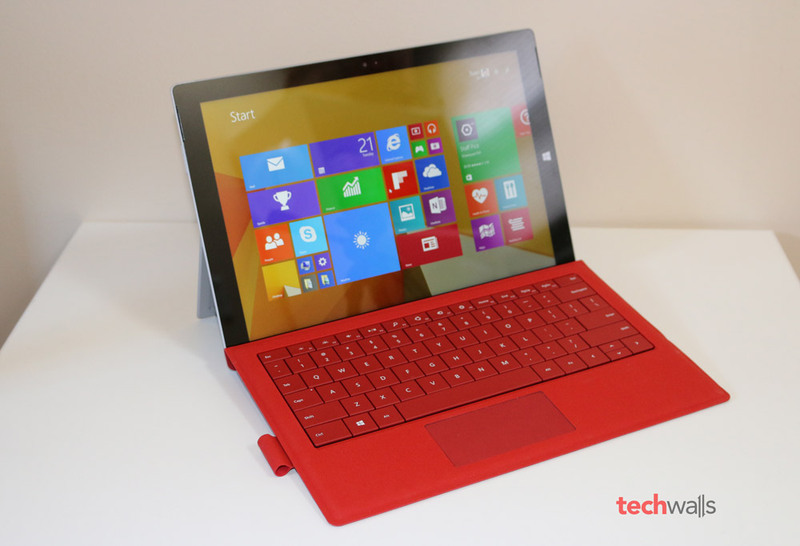 Microsoft Surface Pro 3 Review – Can the Best Hybrid Replace your Laptop and Tablet? I’ve been always a fan of Microsoft Surface Pro devices because they are simply the best tablet-laptop hybrid available in recent years. I tried some other 2-in-1 devices like the HP Pavilion x360 and Lenovo Yoga Pros but they never could replace either my laptop or tablet. So, what makes the Surface Pro 3 special and is it enough to be your next device? Continue reading the review. If you have bought any of the Surface Pros, the first reason must be its cool design. You won’t be able to find a more beautiful device on Earth, at least till 2014. The whole device is wrapped in silver magnesium, so it still looks good in case it gets some scratches. On top of that layer, there is a fingerprint resistant coating which can prevent oils from our hands sticking to the back. However, the aesthetics of the Surface don’t just come from its materials, its design plays a much more important role. I’m so impressed with the improvements of the kickstand. It is freely adjustable and can expand to a very wide angle that couldn’t be reached on the Surface Pro 2. More importantly, this is not a gimmick, it is actually very useful because you can easily direct the screen to your eyes when using the Surface on your lap. Among many reasons I didn’t go with previous generations of Surface Pro, their small screen was one of them. The 10.6-inch screen on Surface Pro 2 is just slightly bigger than the screen on some tablets like iPad Air and even smaller than the Samsung Galaxy Tab Pro 12.2’s. Consumers absolutely need more screen estate to use a Surface as a laptop. Microsoft fixed this by bumping it to a 12-inch screen, and surprisingly, it is even thinner and lighter than its predecessor and other laptops like MacBook Air. Specifically, it weighs just 2.4 lbs and measures 0.55″ in thickness with keyboard attached. 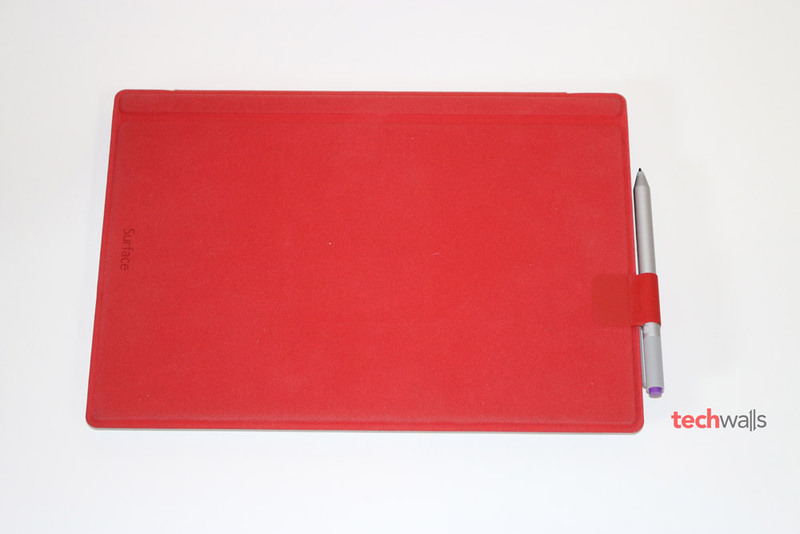 I use my Surface with the new red Type Cover and the combination looks irresistible. The Type Cover is sold separately at around $120 and this is a must-have accessory to turn this Surface into a full-fledged laptop. The Type Cover is very thin and features a double-fold hinge which can be magnetically locked into the lower bezel and support a comfortable raised tying position. The whole unit stays steadily when I use it either on my lap or on top of my desk. It’s much more comfortable than traditional laptops because it is more lightweight and it doesn’t cause any heat on my leg. However, it will require more footprint because of the expanded kickstand. The build quality of this device is amazing, it has a solid build and I believe everything will still stay in place if I accidentally drop it. While the design is awesome, there are still a couple of drawbacks. The Type Cover is a bit flimsy even though I have no problem typing on this keyboard at all, this review is actually typed with this keyboard. It also includes a Pen Loop which is used to store your Surface Pen, this is not a good placement and Microsoft should change in the next generation. While I love that the Surface has a full-size USB 3.0 port, a microSD card reader, a magnetic power connector and a Mini DisplayPort, it is quite a disappointment that there is not an extra USB port and a full-size SD card slot which is extremely helpful for photographers. Instead of using popular aspect ratios like 16:9 or 4:3, the Surface Pro 3 screen has the big ratio of 3:2 which is said to deliver more content than most other laptops. The 12-inch ClearType Full HD display has the resolution of 2160 x 1440 pixels, which means the pixel density is slightly increased to 216ppi. This is an excellent screen with bright image, great viewing angles and accurate color reproduction. At the time writing this post, I am running the Surface Pro 3 on Windows 8.1. This is absolutely the worst OS for touch interface, simply because the desktop apps are not optimized for tablets while the Windows Store is almost abandoned and it is deficient in both quantity and quality.The only app I use is the pre-installed Microsoft OneNote because of its perfect integration to the Surface Pen. A click on the pen will launch the app, or a double click will take a screenshot and paste it in your note, so you are ready to take notes all the time. Everything is so smooth and easy, so I can find this Pen in real-life use and students might find it useful to take notes in class. The Surface Pen still has some delays but it is insignificant and I feel quite comfortable and natural writing on the screen. The Surface Pro 3 comes with some configurations with different processors, SSD storage and RAM options. Mine is the Intel Core i5, 128 GB SSD and 4 GB of RAM. This is not the most powerful one but I find it suitable for daily use. The performance is great when I browse web using Chrome, stream movies, watch HD movies and do some basic image processing with Adobe Photoshop. The machine won’t be able to handle heavy games or video editing. During the last few weeks, the only problem I had was that I couldn’t turn on the Surface, but the issue has been solved and my Surface is working perfectly fine now. The battery is rated at 9 hours for web browsing but in my test, it could last just 6-7 hours when I use Google Chrome with around 6 open tabs. The battery drains much faster when I stream movies on Amazon Instant Video, it could endure just over 3 hours. An advantage of this battery is that it can be charged very fast, a full charge will take less than 2 hours. Premium design with solid build quality. It is lightweight and doesn’t make your legs hot. Great performance for casual usages. It is quite hot when using as a tablet. The expanded kickstand causes bigger footprint. The keyboard cover is sold separately. Desktops apps are not optimized for touch interface. The Surface Pro 3’s pricing starts at $799. To answer the question in the title, I will say no. This is not a tablet that can replace a laptop because it is too bulky, heavy and hot when you hold it in your hands. However, this is a huge competition of Apple MacBook Air. I need a portable full-fledged laptop when I travel, and the Surface Pro 3 is my favorite device so far. The best tablet-laptop hybrid you can buy. Thank you for your review, and coincidently, the i5, 128GB, 4GBRAM is also the model I am considering. I have been reluctant to buy one because of some concerns, including the overheating claims as well as the wifi connectivity issues claims. I understand from reading other sources that these have been rectified. Is it the same for you? Are there any other usage issues that I should be concerned about? Also, I understand that all my save files will be automatically saved onto OneDrive by default, if I set up my account upon starting the machine for the first time. How do I get around this? For example, if I want to save them to an external HDD or the attached memory card? The Wi-Fi reception on the Surface is perfect and I’ve never had any issue with Internet connection. I’m not sure about those overheating claims, my Surface only turns hot when I stream HD movies and warm for normal uses. However, the heat issue is acceptable as it happens with all laptops and you won’t feel anything when the Type Cover is folded back. I encountered another issue with the Surface last week, I wrote about it in another post and it is not so serious. Other disadvantages are mentioned in the review. When you set up the machine, you have the option to set it up as a new machine and disable OneDrive. You can check out the setup process in the video on top. So you can save your files anywhere as you wish. Thank you for your comments. Today I read comments about the screen/glass cracking on its own…..and the only to get it replaced/fixed is ensuring that consumers include the ‘Microsoft Complete for Surface’ in their purchase, which limits us to 2 claims for a fee each over a 2 year period for events like cracked screens. Nevertheless, I think I’m going to go ahead with the purchase. Again, thanks for your feedback.